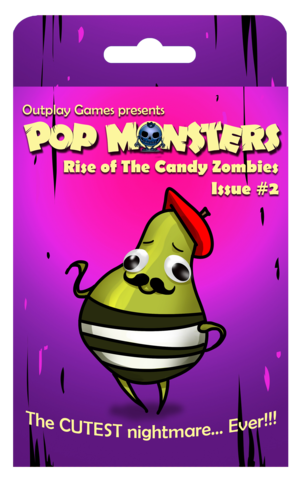 Candy Zombies have invaded the little town of Green Fingers. Help defeat them with Pierre and all his friends. 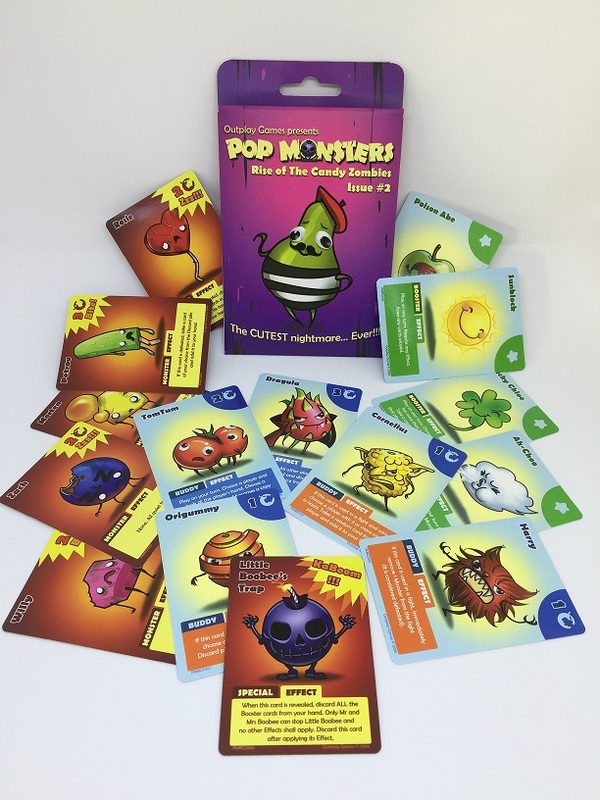 Use the Booster cards to gain an advantage or simply outsmart your opponent with timely used strategies. - A 10-15 minutes gameplay. 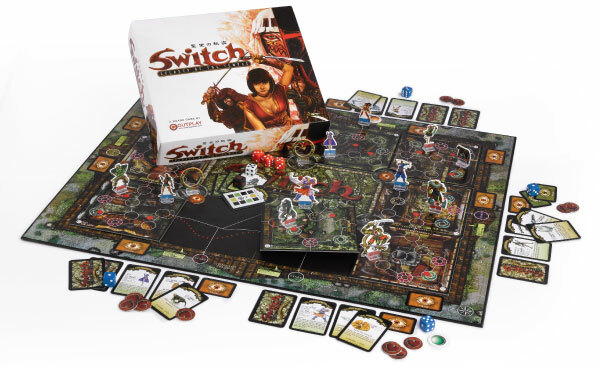 - A 2 player game for a single pack. Combine both packs to play 3-4 players. - A Game for all. 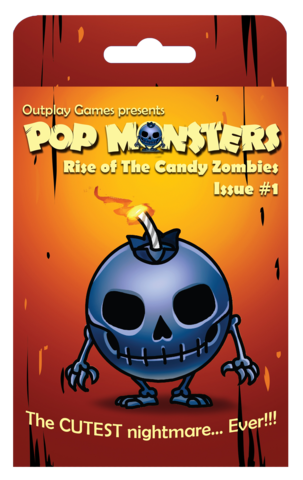 POP MONSTERS Rise of The Candy Zombies Issue # 1 and Issue # 2 are out now! Coming Soon to Retail Outlets near you. 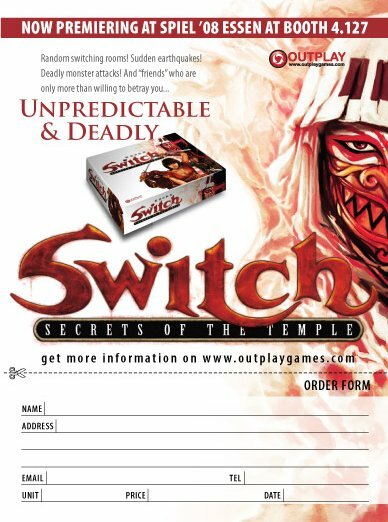 We have been there before with Switch Secrets Of The Temple. 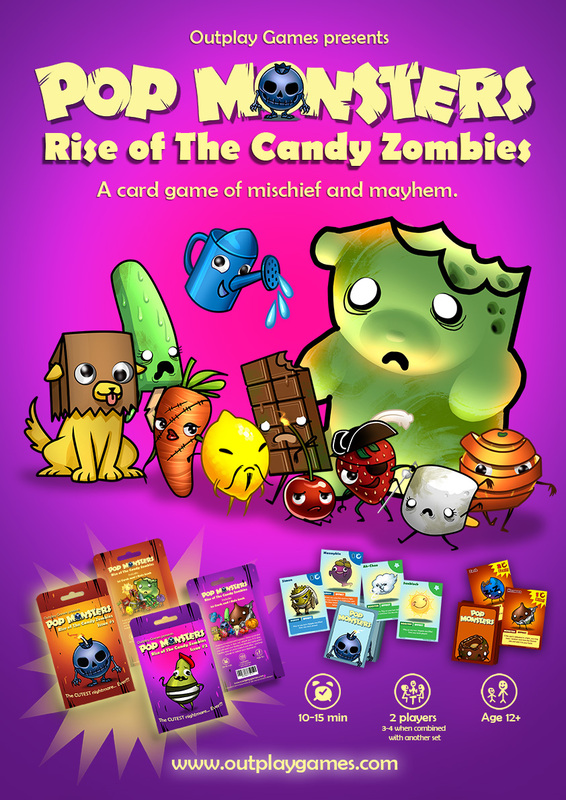 The Team is working on a reboot via a card game. FREE SHIPPING TO MOST PARTS OF THE WORLD (unfortunately, we are not able to deliver to some countries due to complexities of their respective postal services). Yes, for a limited period, shipping will be FREE.